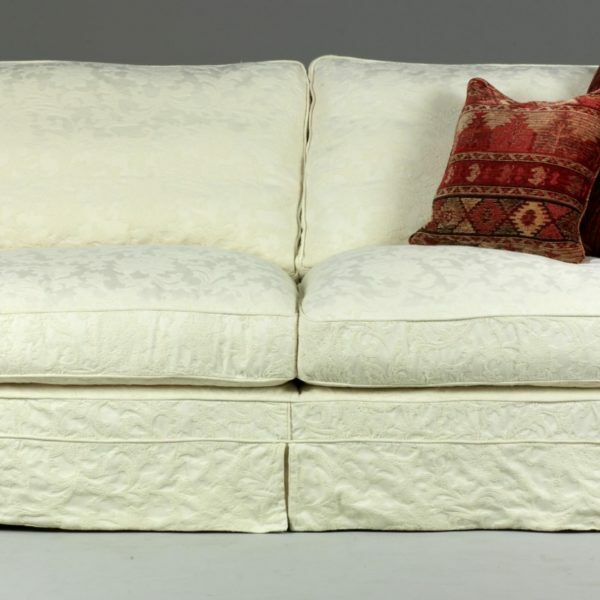 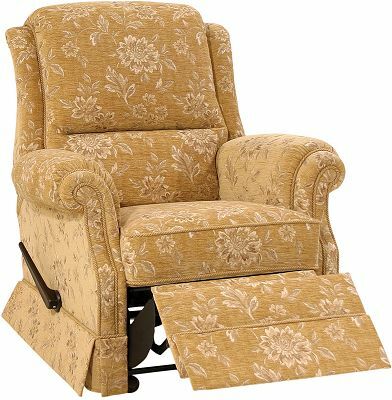 A classic scrolled arm sofa with a fully coil sprung fixed seat and beautiful hand studding, which will provide your family a place of great comfort for many years to come. 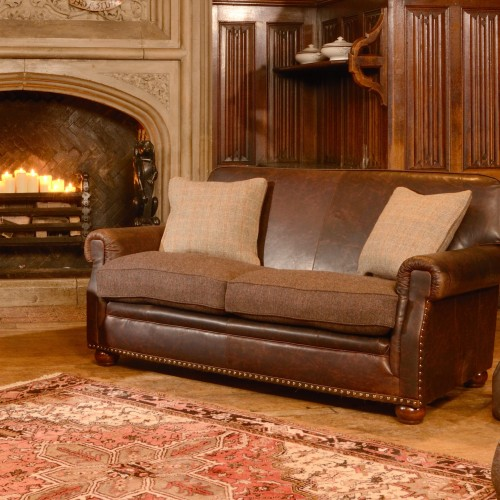 The Taransay group has 2 sizes of sofa, a gent’s chair, ladies chair and a stool. 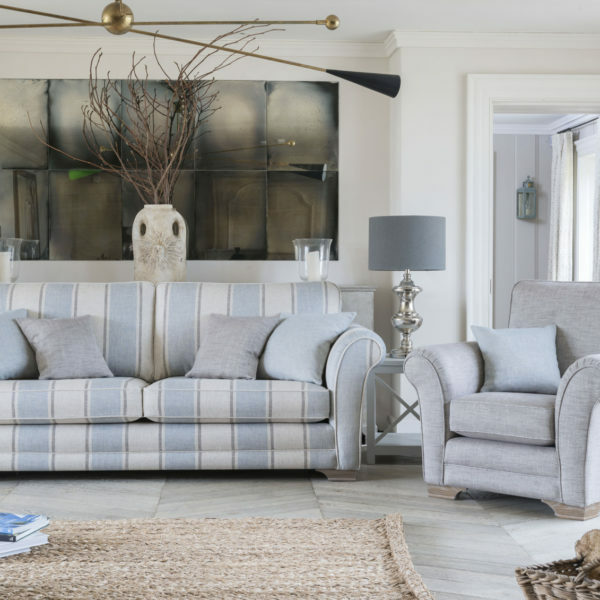 Sofa shown displayed in Dogtooth Check Harris Tweed and Mont Blanc Winter Pine Hide. 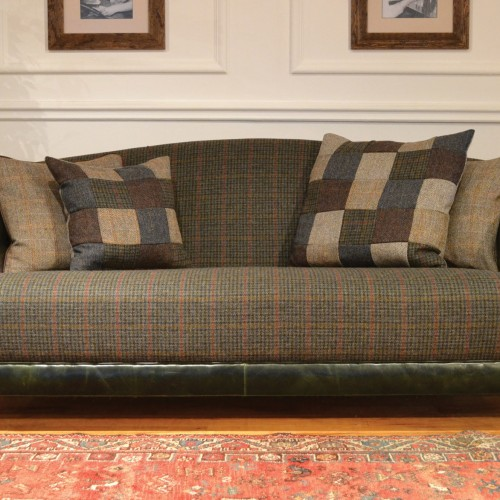 The Taransay is available in any one of the tweeds and hides in the Tetrad Harris Tweed Collection.